In today’s era of inflation, even medical costs have soared tremendously. Even a minor illness can become a financial burden. With the rise of sharing economy platforms, making good use of such platforms will inevitably help more people in dire need. Life Engineering – a trusted platform where the crowd shares medical costs – was founded with the aim of uniting the power of Malaysians as a crowd to share medical costs so that everyone can truly help each other in countering unforeseen risks. It will make crowd sharing a right and responsibility and shape a community that is filled with love and healthy lives. 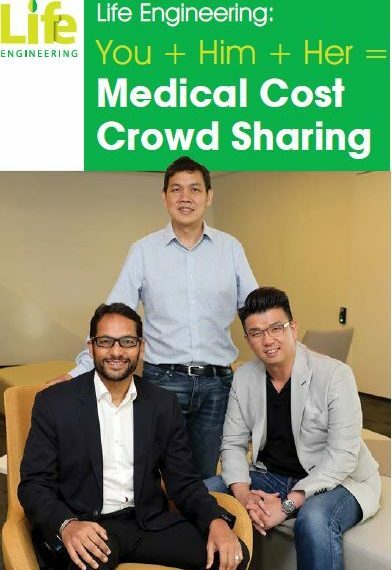 As the first medical crowd sharing platform in Malaysia, Life Engineering certainly enables participants to reduce each other’s medical burden; together they establish a beneficial sharing platform. 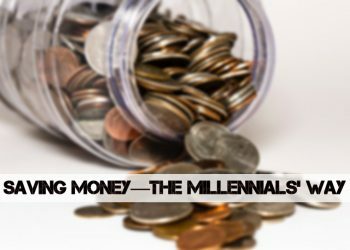 In an exclusive interview with Money Compass, Gideon Leong – founder and Chairman of Life Engineering – revealed that Life Engineering is bringing all participants (sharers) together in an online community, allowing each sharer in the community to also protect themselves while helping others. “Unlike donating to charities which is a one-way act, Life Engineering enables everybody to help each other. Let’s say, today I help you, if tomorrow I’m hospitalized, you help me in return. When a sharer in the community is sick and medical expenses are required for admission, all sharers in the community will share the medical fees for him or her. 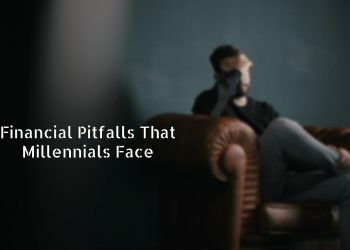 ” Very often because one is lack of insurance coverage or savings, he or she may not able to receive sufficient or appropriate treatment, resulting in further deterioration of health or death. Gim Loh, Chief Executive Officer of Life Engineering, emphasized that Life Engineering programme is not an insurance. Life Engineering and insurance companies are merely similar in the way that both involve dealing with issues of medical expenses. Life Engineering programme is a technologically enabled platform where sharers access the platform via an App or web to share their medical costs. The way Life Engineering works is mainly based on these three principles: Simple, Accessible, and Affordable. Simple: Sharing and bearing the most important critical costs such as medical treatment during hospitalization and operation costs of a patient. Affordable: There is no extra cost in the medical costs crowd sharing model. All shared medical costs are transparent and open with no other hidden commissions or fees. 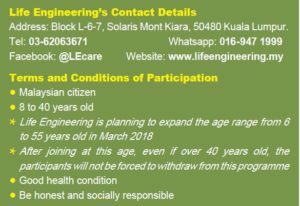 Accessible: Malaysians that would like to join the medical fees crowd sharing platform can simply download Life Engineering application or visit www.lifeengineering.my and sign up now. Sharers in the community only need to pay a maximum of RM50 per month. If no one falls sick in a particular month, no payment is required. As a start, a sharer is required to place a RM100 Sharing Deposit with an appointed trustee to be used for future crowd sharing purpose and a RM100 Annual Participation Fee. For the first 2,000 sharers who signed up, a life time waiver of RM100 annual participation fee will be given. You can call 016-947 2999 and talk to a customer representative at Life Engineering for further inquiries. For hospital admission and treatment, a patient just has to show Life Engineering’s panel hospital his or her Life Engineering identity via its App or website. The admission request will then be reviewed and approved by a third-party Professional Medical Auditor, Eximius Medical Administration Sdn Bhd (EMAS). 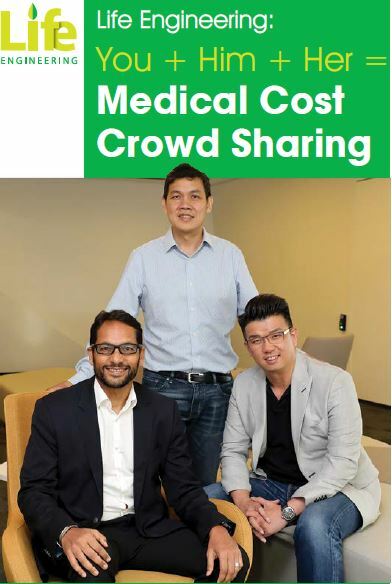 Gideon Leong explained that the role of Life Engineering’s management team is to ensure the medical fees crowd sharing platform continues to operate fairly and justly. He added that life is sacred, is priceless and we need to break the conventional linkage between medical services and money. Medical costs should be free for all and no one should lose his or her life over medical expenses because life is much more precious than that. With the cutting-edge crowd sharing platform, the power of Malaysians is united as a crowd. Life Engineering will go on to collaborate with suitable businesses such as advertising revenue sharing, in which 30% of the net profit will go back to the community, eventually reducing the average medical fees amount per sharer to zero. Gim Loh said the three primary plans of Life Engineering in the first half of 2018 are implementing a sponsorship model; becoming a major employee benefit for SMEs; and becoming a corporate agent of Tokio Marine Life Insurance Group respectively. “The sponsorship model will allow you to give medical fees crowd sharing as a precious gift to your family and loved ones,” Gim Loh explained. Gim Loh believed that SMEs should consider signing employees up for Life Engineering as an employee benefit, which will encourage the growth of SMEs. The ability to provide medical costs relief to employees will help SMEs to retain and attract talents. This will also be a good way for SMEs to give back to the community. On becoming a corporate agent of Tokio Marine Life Insurance Group, Gim Loh said that sharers can use the money saved through participating in Life Engineering for other insurance and investment plans, enabling better financial planning. More importantly, Life Engineering, Tokio Marine Life Insurance Group and Hannover Re are working together to establish a plan to manage the Crowd Sharing risk of Life Engineering at no profit, ensuring the success of the plan. These two large global corporations have shown their commitment in giving back to the community. Ravinder Singh, General Manager of Life and Health Division at Hannover Re, the world’s third largest reinsurance company in the world, which is also the supporting organization to Life Engineering, said that the biggest challenge faced by our society today is the rising medical costs by 15% annually. 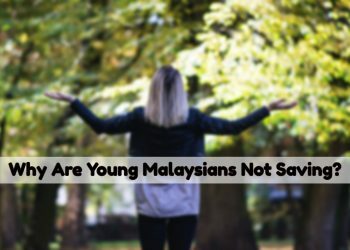 If today we are paying RM100,000 for cancer treatment, in ten years we will be paying RM400,000, an amount that is far beyond most Malaysians’ affordability. As such, we really need to address this issue now. For most Malaysians, the only way to lower medical costs is to create the awareness of how overtreatment is being faced by the industry as well as how consumers can lead healthier lives.